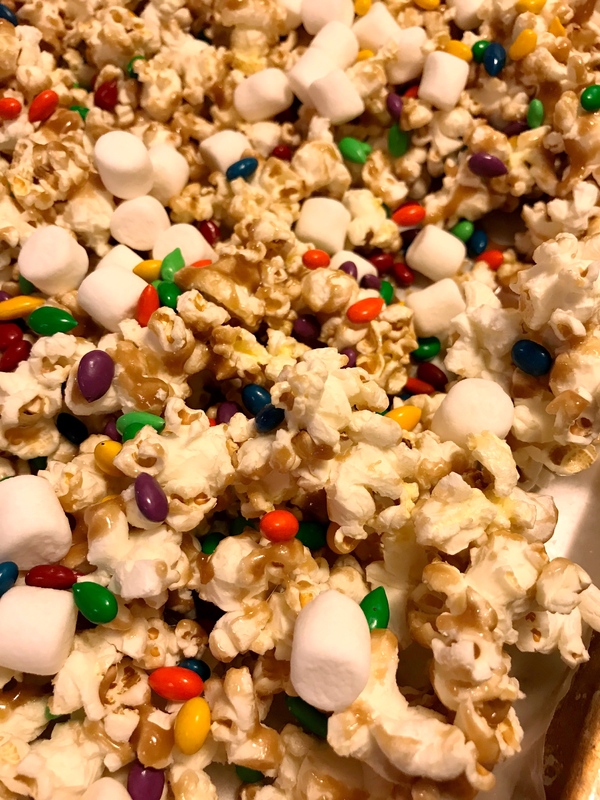 Popcorn is something that is fun to play with and add different toppings. The options are endless when it comes to cooking with popcorn! 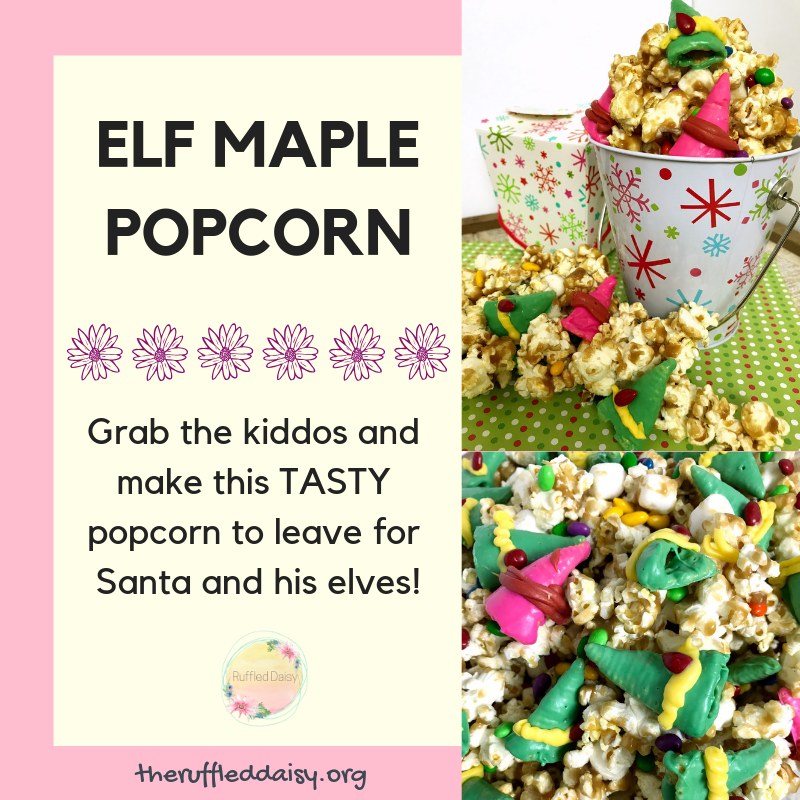 This Elf Maple Popcorn is not only delicious, but it’s a FUN project to do with your children or grandchildren! 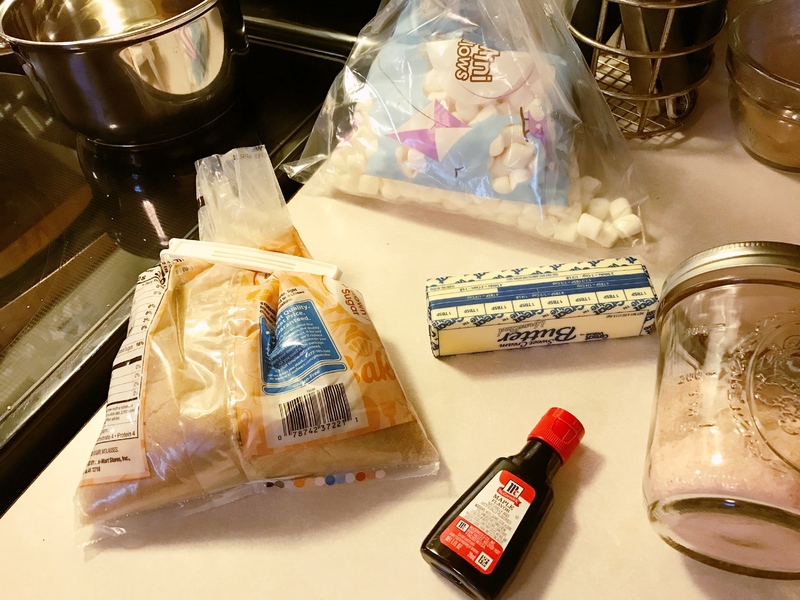 Here’s how you can make your own Elf Maple Popcorn! line a baking sheet with wax paper. Melt the green candy melts according to the package directions. Wedge a Bugle snack on a fork and dip into melted candy coating. Tap the fork against the side of the bowl to remove access. Use a toothpick to slide the coated Bugle snack on to the waxed paper. Repeat as desired. Allow candied Bugles to set completely. Repeat the process with the pink candy melts. Allow candied Bugles to set completely. Heat the yellow candy melts according to package directions. 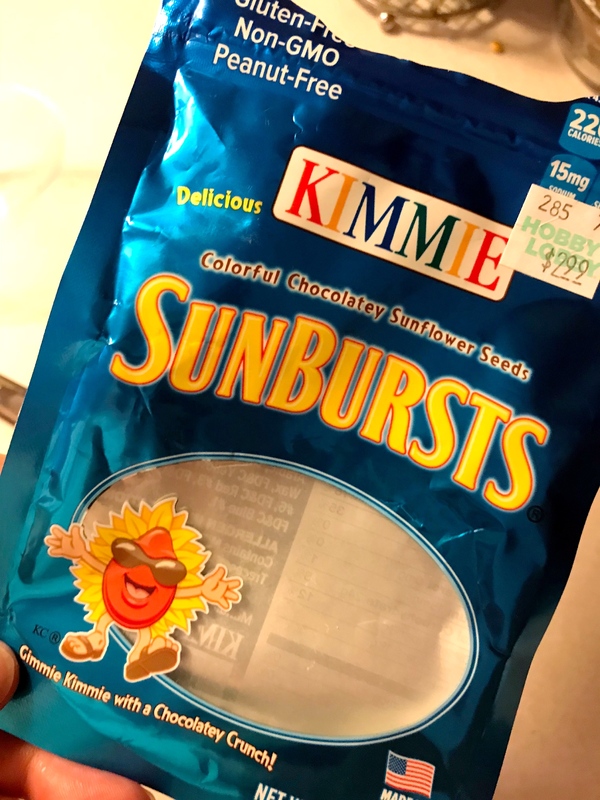 Place melted candy into a zip top freezer bag or candy decorating bag. Snip the end slightly. 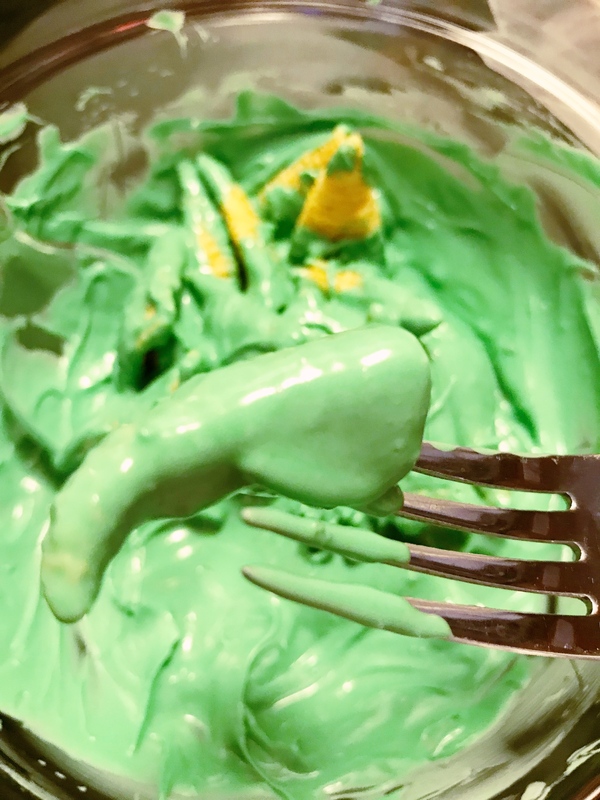 Drizzle yellow candy over each green-coated Bugle to resemble a stripe on the elf hat. Allow candied Bugles to set completely before mixing with snack mix. Heat the red candy melts according to package directions. Place melted candy into a zip top freezer bag or candy decorating bag. Snip the end slightly. 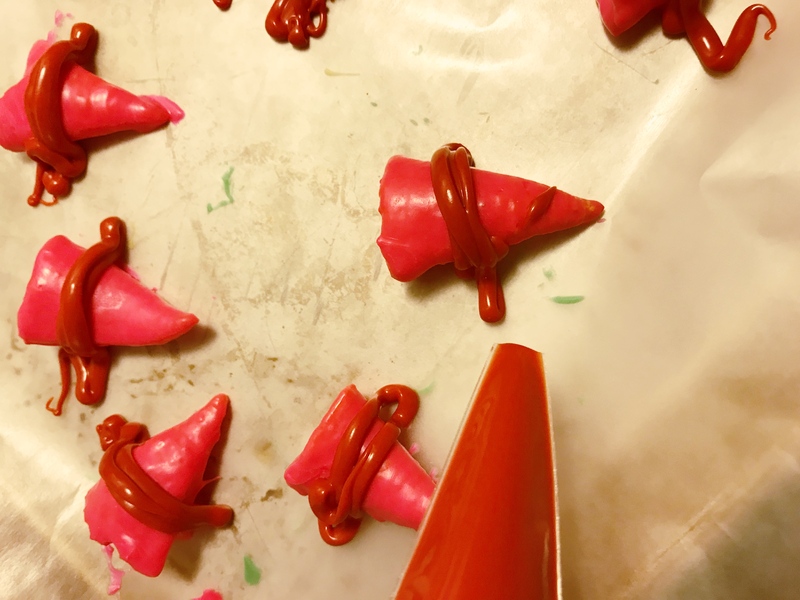 Drizzle red candy over each pink-coated Bugle to resemble a stripe on the elf hat. Allow candied Bugles to set completely before mixing with snack mix. Line a baking sheet with parchment. Top with cooked and salted popcorn. In a medium saucepan over medium heat, melt the butter. Add the brown sugar to melted butter and stir until combined. 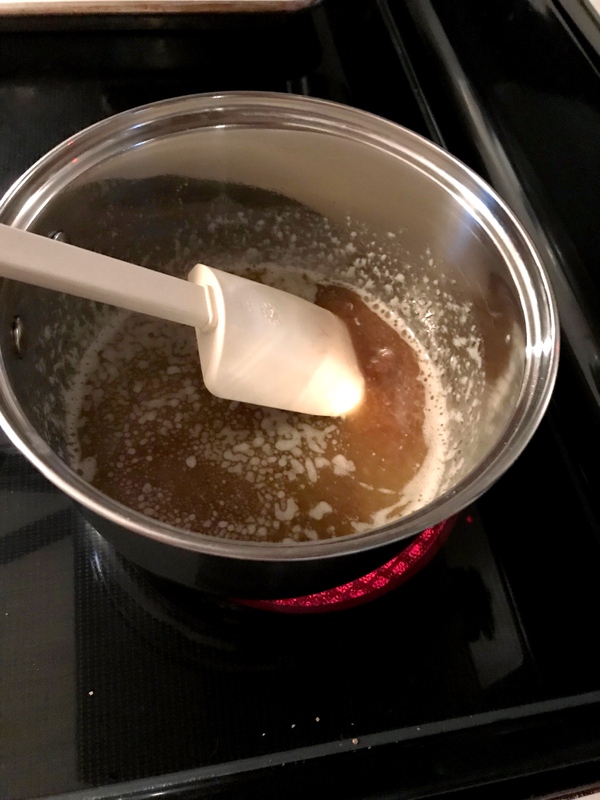 Pour the maple extract into the mixture and stir well. Bring to a boil, stirring occasionally, for 5 to 6 minutes. Pour sugar over the popcorn. Toss to coat. 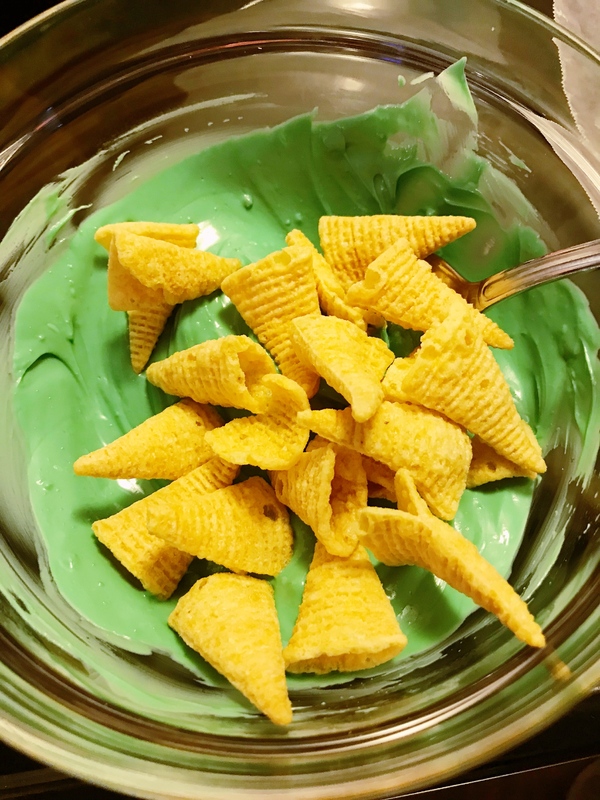 Add remaining ingredients and decorated Bugles. Toss well and serve. Baking around the holidays is a long-standing tradition of ours in our home! 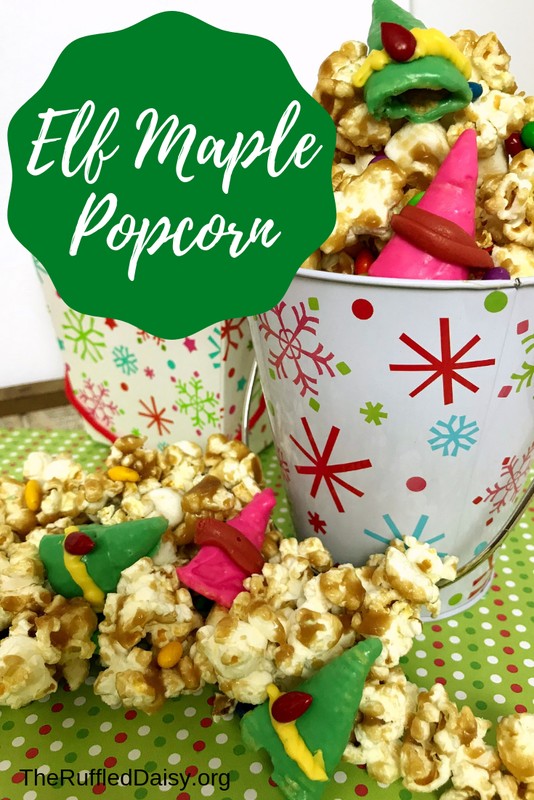 I think this Elf Maple Popcorn is going to be a new staple that we make every year! This treat would be a great gift for a neighbor! Grab a Christmas tin or bucket, fill it up with Elf Maple Popcorn and then attach a Christmas card! What is your family favorite to bake around the holidays? Melt the green candy melts according to package directions. Wedge a Bugle snack on a fork and dip into the melted candy coating. Tap the fork against the side of the bowl to remove excess. 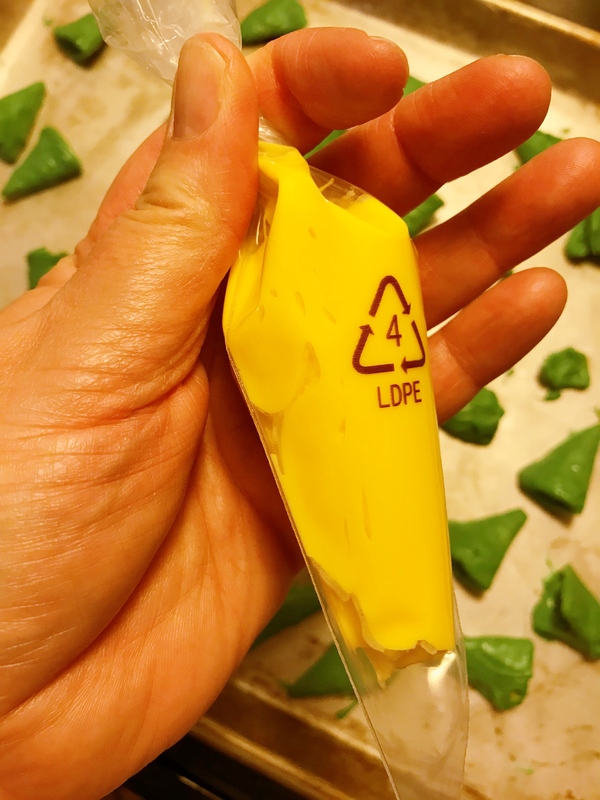 Use a toothpick to slide the coated Bugle onto the wax paper. Repeat as desired and allow to set. Repeat the process with the pink candy melts. Heat the yellow candy melts according the package directions. Place melted candy in a zip top freezer bag or candy decorating bag. Snip the end slightly. 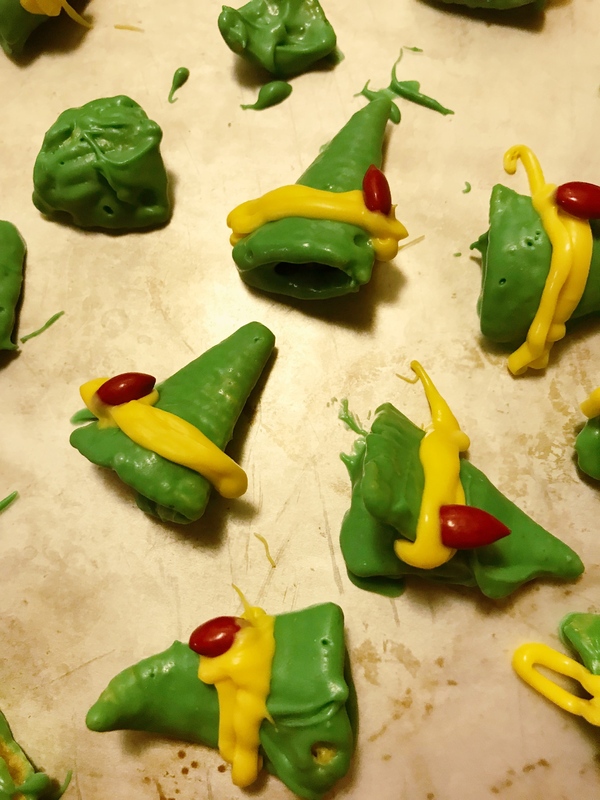 Drizzle yellow candy over each green coated Bugle to resemble a strip on the Elf hat. Allow to set completely before mixing. Heat the red candy melts according the package directions. Place melted candy in a zip top freezer bag or candy decorating bag. Snip the end slightly. Drizzle red candy over each pink coated Bugle to resemble a strip on the Elf hat. 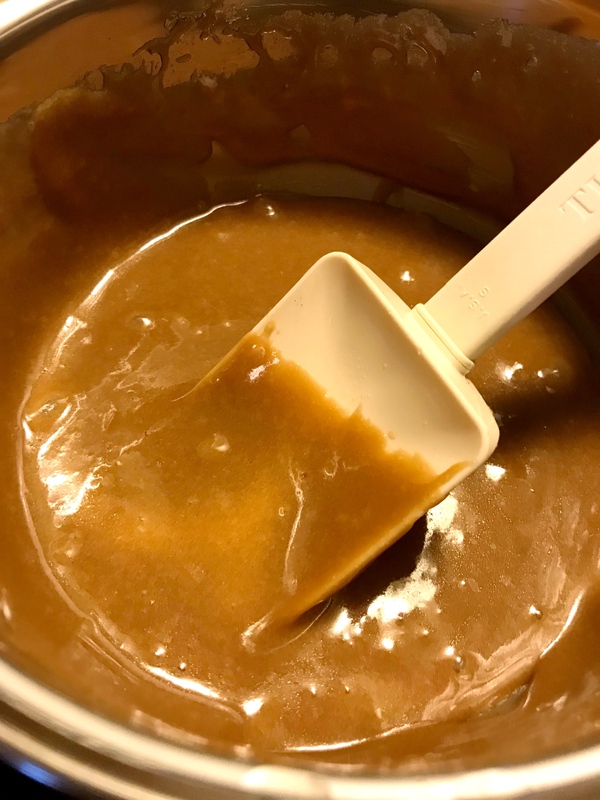 Allow to set completely before mixing. Line a baking sheet with parchment paper. Top with cooked and salted popcorn. In a medium saucepan over medium hear, melt the butter. Add the brown sugar to the melted butter and stir until combined. 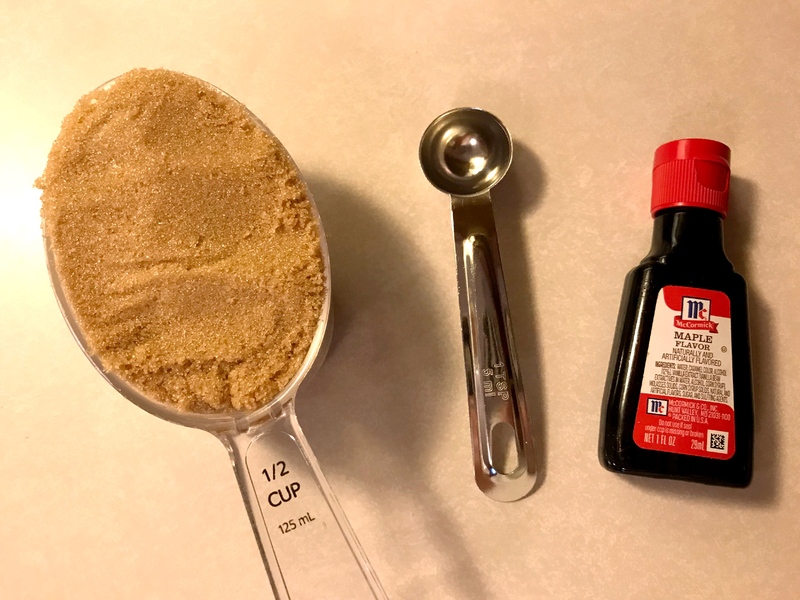 Pour the maple extract into the mixture and stir well. Bring to a boil, stirring occasionally, for 5 to 6 minutes. Pour sugar over popcorn and toss to coat. 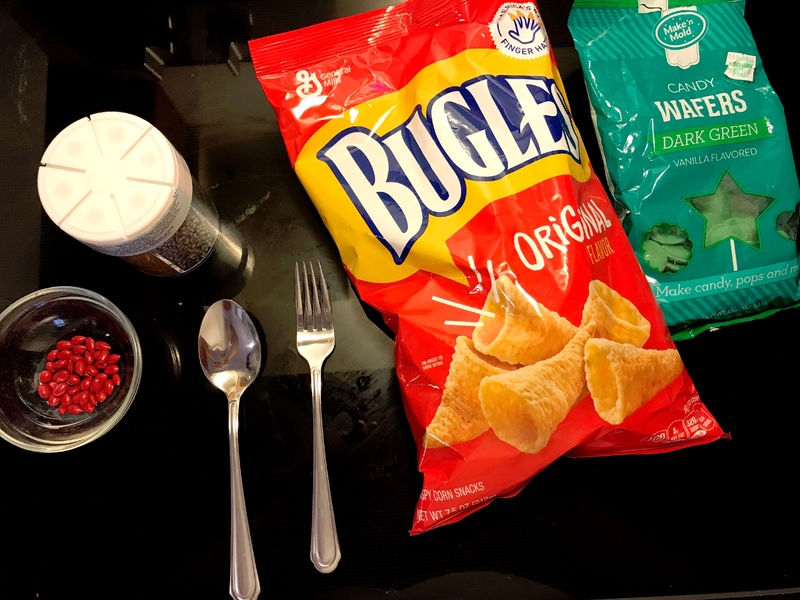 Add remaining ingredients and decorated Bugles. Toss well and serve! 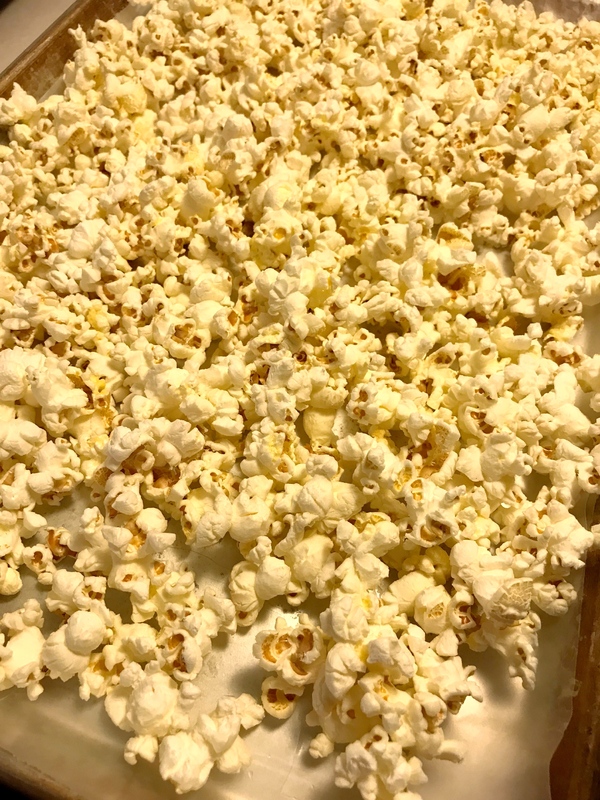 If you prefer a crunchy popcorn, add the sugar mixture to the popcorn and toss to coat. Then bake the popcorn in a 250 degree oven for one hour, stirring every 15 minutes. Allow popcorn to cool completely. Break into pieces and then add remaining ingredients.